Artist Kinu Nishimura shares details of how she creates an image. 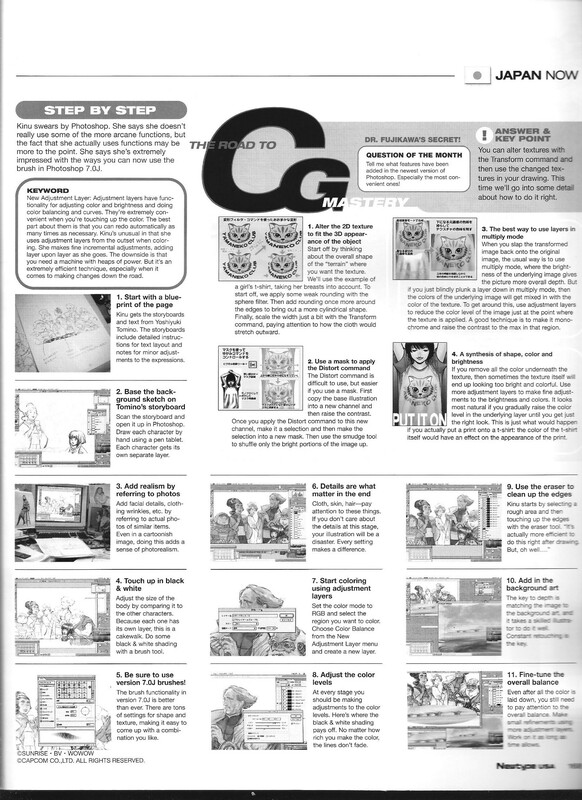 This is part of a recurring back-of-magazine feature that I missed when scanning other issues, so I’ll probably be uploading those, either individually or as a batch, at some point. 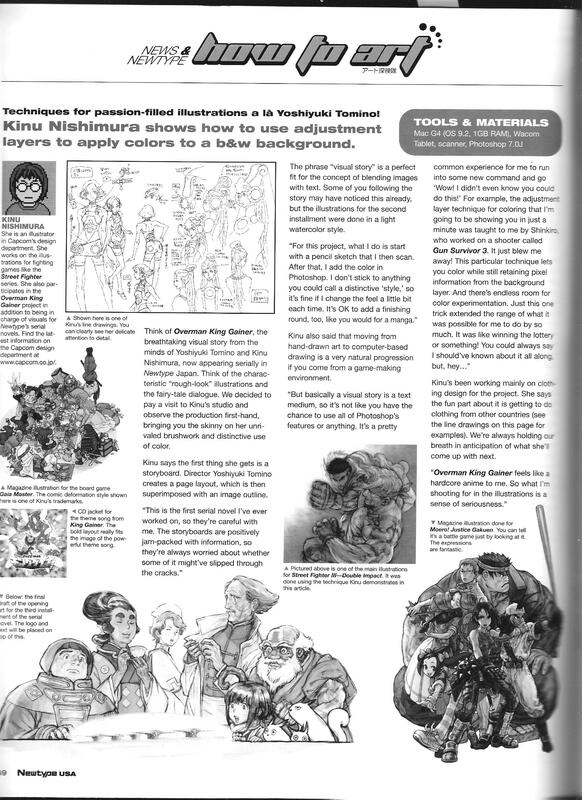 This entry was posted in Old Magazine Articles and tagged Anime, Borderline Plagarism for the Freedom of Information, Kinu Nishimura by torisunanohokori. Bookmark the permalink.